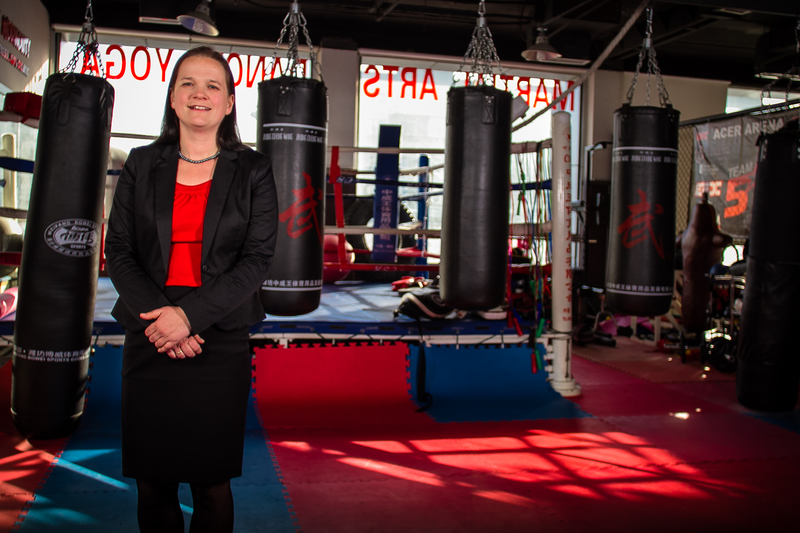 Learning to kick box and performing on Corporate Social Responsibility- not that different. Last year I made a few resolutions for my personal and professional life, and one of them was to start kick box lessons in January. It was a very rational choice to go to kickboxing at that time; I have a kick box gym in my neighborhood, and it seemed very logical and efficient to me to check it out: if kickboxing was the right exercise for me, I would save on my commute time to get to a good sport lesson. As soon as I had hit the boxing bag the first time, I knew I had found the right sport for me. I love doing it, the rush of the punch, the balance on your toes that you have to make, pushing your limits, enhancing your reaction speed, … its great! The first month or so I could only follow one lesson per week: I was in constant pain for days and nights afterwards, and I wasn’t very fit. I couldn’t do even one sit-up properly or a push- up. (The last time I did any sport lesson was when I skipped the PE lessons in my final year of High School….) But this boxing was something interesting for me to try: so I proceeded to go on to two times per week, and then three… in March 2013 friends around me began seeing a difference in my size and shape, and many friends came with me to check out kick boxing too: they saw that it had changed me, and were eager to try it out themselves. Then it hit me -oh the analogy- that this gap in between the starter and the already studying person is a problem. Sometimes this gap is too big for the starter to ‘see’ the possibility of change. If a company is starting to think about improving their CSR performance, they look around for a similar company doing CSR in their industries. If they start bench marking with a high flying company (or so it seems! ), they can be put off by their own lack of performance and stop all together with starting. Many Small and Medium Companies starting with CSR keep this in mind when they think of CSR: that’s something for a big company with lots of resources to give away tons of money to charity, send their employees out on volunteer work, etc. But if the smaller companies would have a perception that their contribution counts, in a smaller way, if they just would start doing this exercise, they may very well succeed in their own way. That’s why small and informal, branch specific CSR roundtables are useful for these companies to find out what CSR could mean for them on a small and achievable scale. I will never be a kick box champion, my reaction speed is comparable to a snail on drugs, and my kicks are a joke compared to those of a twenty year old. But I don’t want to compare myself to a twenty something; I just enjoy the difference a year of hard work makes for me, from one push up in January to 52 per minute in December. Same goes for improving Corporate Social Responsibility for your company: look at what you can improve more than what the bigger companies seem to do.